»Sports»For Tigers fans: It’s World Series … or bust! For Tigers fans: It’s World Series … or bust! Finally, after a drought that seemed to last from early September through most of the American League Divisional series, the Tigers seem to be back to doing what they do. It was frustrating watching Detroit’s lineup struggle to score runs at the end of the regular season. When the trend continued into the playoffs, it became downright maddening. The Tigers are built to be explosive on offense. Opposing pitchers face off against bats that have earned a triple-crown, two home-run derby trophies, multiple batting titles and all-star game appearances; and that’s just in batters three and four. Yet the bats had gone cold, games were being lost, and even when they were won, it was only by a narrow margin. The fact that the entire pitching staff has been all but lights-out has made the offensive woes even more unbearable to watch. It’s no secret that the Tigers are faced with some lofty expectations, and going home for good in the first round of playoffs would have fallen short, no question. But they’re professionals, and they’d figure it out. This time, the often ridiculed philosophy of manager Jim Leyland, the sage, seems to have rung true. Miguel Cabrera looks healthier every day, the bats seem to have at least partially awoken from their slumber, and the pitching … what a sight. Wins and losses aside, the Tigers look to be playing better each and every time they take the field. As long as that trend continues, it will be hard for any opponent to win a game, let alone a series. This season isn’t about a dark horse team making a run, this is about one of the most prolific lineups in baseball fulfilling its destiny. Harken back to 1984, the last Detroit world championship. On paper that lineup dominated, and it translated directly to wins on the field. It’s a very similar situation today. The Tigers are built to win right now. Really, anything short of a World Series title is a disappointment. That’s not harsh criticism; that’s reality. The Tigers have an all-star roster. What are the Tigers lacking? Maybe a big bat, a Cy Young-caliber pitcher, an all-star outfielder, an all-star infielder? Even the bullpen has been fairly sound. Of course, sometimes it’s just not in the cards. There’s always the chance that every player, manager and coach with an old English D on the chest will play at peak performance, and still come up short. Upsets happen, and fans, especially contemporary Tigers fans, should expect them. 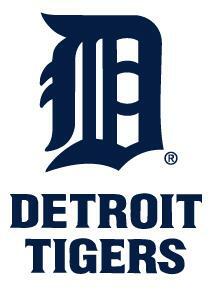 Go Tigers, World Series or bust.